Soccer is about teamwork, running, and agility. Our program teaches and celebrates all. 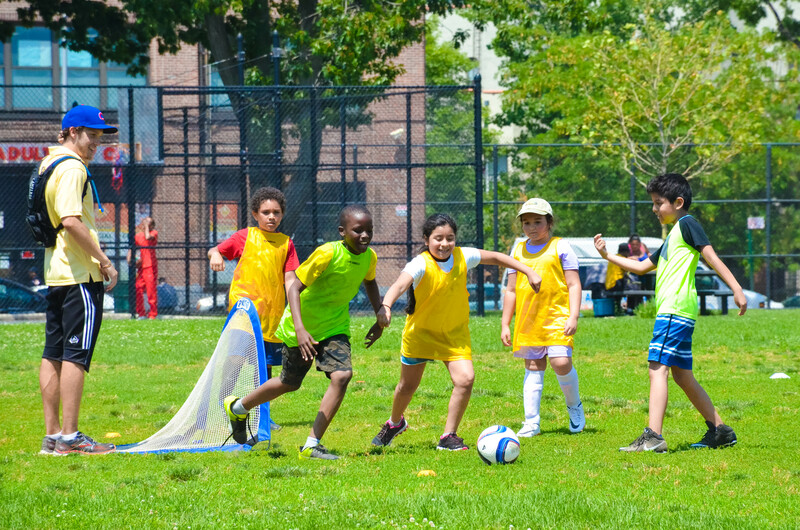 Our coaches will be joined by those from the NYC Football Club to teach kids how to pass, dribble, and kick through informal play and instruction. At the end of the program, select participants are invited to compete in a one-day tournament. We also accommodate organized camps and youth groups at specific sites if/when space is available and on a “first-come basis.” Group registration is now closed. Public support is provided by the New York City Council. In partnership with NYC Parks.